Your Best Interest is Our First Priority | Equitrust Financial Group, Ltd.
You may be reading or hearing about the Department of Labor Fiduciary Rule, a new regulation regarding retirement accounts, both employer-sponsored and individual retirement accounts (IRA), which became effective June 9. The rule changes are intended to ensure financial advisors act in the best interest of clients saving for retirement, something we have always prided ourselves on during the 30 years we have been advisors. In fact, we hold the same philosophy for all our client accounts, regardless of whether they are for retirement, college savings or other financial goals. We will always put your best interest first. We will disclose to you any conflicts of interest we might have. We will always select the best investment products to help you achieve your goals. We do not choose investment products for you based on what our compensation could be. The advice and recommendations we provide to you will be what we believe to be in your best interest and appropriate for your personal situation. We will always be transparent in the compensation we receive for managing or selecting investments for your account. We are happy to go over your account statements and confirmations with you at any time to explain the fees and expenses. We will answer questions and provide additional information on financial topics that matter to you. We will use a holistic approach to provide you with financial advice on all of life's important money matters. As independent financial advisors, we receive no added incentives from my broker-dealer, Securities America, to sell specific investment products. Securities America does not create, manage or underwrite any investment products, so we are free to choose what we believe will work best for you. 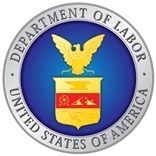 As part of the new Department of Labor Fiduciary Rule, the financial services industry is making changes to how investment products are structured, how firms are compensated for the services they provide to clients, and how the activities of financial advisors are monitored by their broker-dealer. As a result, we will need to obtain from you additional information that wasn't previously required to open an account or make a transaction in an existing account. We appreciate your understanding and patience as we work to meet these new requirements. Successful relationships depend on open communication on both sides. If you have any questions about your accounts or if your personal situation changes, please contact our office. We are here to assist you with all your financial needs.